Nitric oxide/cGMP-mediated effects in the outflow region of the lower urinary tract—is there a basis for pharmacological targeting of cGMP? 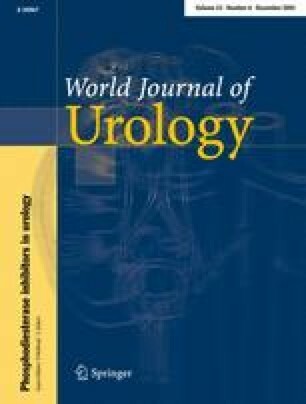 Treatment with α-adrenoceptor antagonists that reduce the tone of prostatic stromal and urethral smooth muscle has beneficial effects in patients with benign prostatic hyperplasia (BPH) and lower urinary tracts symptoms (LUTS) and has brought attention to regulatory mechanisms of smooth muscle contractility of the outflow region. The prostate, urethra and bladder neck are densely supplied by nitric oxide (NO)-synthase—containing nerves that cause relaxation upon activation. In various experimental models, altered function or activity of the NO/cGMP pathway of the bladder neck and urethra may be related to inappropriate or un-coordinated functions of the bladder outlet and detrusor, but causal connections between alterations in this signaling system, a dysfunctional bladder outlet, and the development of LUTS are not established for humans. The present review focuses on regulatory functions of smooth muscle contractility by the NO/cGMP-pathway in the bladder neck, urethra, and prostate. Disease-related alterations in the NO/cGMP-pathway, and putative options for pharmacological modification of this signaling pathway in the out-flow region are briefly discussed.